We begin the week here at My Poetic Side with the story of a poet’s body found in a wine cellar. We also bring you an article about the 4thJersey Festival of Words. During a recent excavation at St Michael’s Church in Highgate village, North London, a rather unusual discovery was made in what is a former wine cellar. The coffins of Samuel Taylor Coleridge, a 19thCentury poet, his wife, daughter, son in law and his grandson were found. The church had been built on the former site of a mansion that had been demolished. The church was built on the site in the 1960’s. Over the years the church had become somewhere that literary pilgrims had visited to remember the poet; there is a memorial plaque in the church itself, however, nobody knew that the body of the poet lay just below the memorial slab that was inscribed with his own words. The coffins had been moved there from their previous resting place so that they could be kept safe, and somehow, they ended up being bricked up and forgotten about. 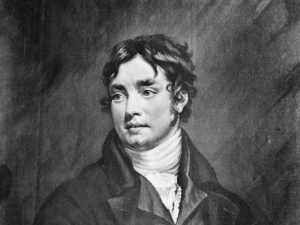 Richard Coleridge, the great-great-great grandson of the poet had said that it might seem to have been somewhat appropriate to place the remains in a wine cellar – during his lifetime Coleridge suffered from alcohol addiction as well as bouts of depression, poor health and drug addiction – but he confirmed that the family were very much in favour of plans that supported an improvement to his ancestors final resting place. The church is planning a series of fundraising events in order to restore the cellar so that the coffins might be visited, at present the entire area is unsafe. 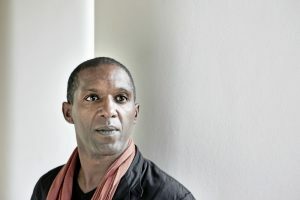 It has been confirmed that Lemn Sissay will be appearing at this year’s Jersey Festival of Words, where he will present the prizes for what will be the inaugural Jersey Festival of Words Competition. The prize giving will take place on 27th September and Sissay will also be giving a poetry performance. The competition, which is a new part to the festival which is now in its 4thyear, is open to any poets who were born, or who are resident, in Jersey. There will be three categories ages 9-13, 14-17 and 18 and over. A cash prize will be awarded for the best three poems in each category. In addition, the winner of the 18 and over category will also receive the Alan Jones prize; this is given in memory of the late poet who made an important contribution to the literary world on Jersey. Sissay, who was the official poet of the London Olympics in 2012 and is currently Chancellor of the University of Manchester was made a Member of Order of the British Empire in 2010. He was also the official poet of the FA Cup in 2015. The festival will take place from 26thSeptember to 30thSeptember.